Traditional pure breeds carry important, irreplaceable genes, the value of which remains for future events to determine. They are also beautiful, productive, will reproduce your flock and connect you to history, writes Christine Heinrichs. Back in the August 1910 American Poultry Advocate, C.F. Townsend made the case for ‘thoroughbred’ poultry because of its broader economic value. After the eggs and meat are sold, the hatching eggs and stock are valuable to other breeders. The uniform shape and color of the eggs brings a premium price. “Big money can be made and is made in breeding good stock,” he advised. This economic incentive isn’t the same as it was in those days, when meat and egg producers were also show exhibitors and advertised their prize-winning birds. Today, the irreplaceable genes are one of their important values. 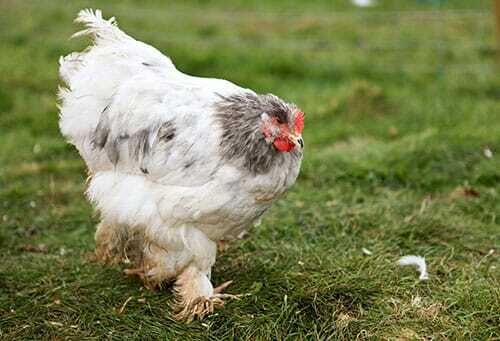 Traditional breeds may rescue the poultry industry of the future. Breeds are the repository of genetic diversity in domestic livestock. Each pure breed, such as the English Dorking with its unusual five toes, has a unique appearance, productivity and behaviour. They breed true, which means that when they are mated together, their offspring are predictably like them. Orpingtons always produce more Orpingtons. Landraces, such as Sumatras, are local or national breeds that develop in a geographic area. They’re influenced more by natural selection than intentional selective breeding by humans. They develop in response to environmental pressures and conditions. They existed before people identified, named and described them. Other old foundation breeds, such as Cochins, are the result of domestication and selective breeding going back centuries. They are the breeds from which composite breeds such as the Wyandottte were developed. Some of those have long histories, and some are modern. Breeders continue to cross breeds to develop new production birds today. Breeds are a package deal, not a collection of individual traits such as comb type and body conformation. We cannot know all the traits that comprise a breed. To lose a breed is to lose the entire unique genetic package. All chickens are the same species and share some genes, but other genes are unique to the breed. Ducks, geese, turkeys and guineas similarly share traits within their species but carry others that make them quite different, both from other domestic breeds and from wild relatives. Traditional breeds are part of a culture that is being fragmented and lost. Traditional breeds do not flourish in industrial settings. The traits that make them special include being a good forager, good brooder and good mother (and father), alert protector, longevity, disease and parasite resistance, ability to mate naturally and fertility. Traditional breeds are an important part of an integrated and sustainable farm. Each pure breed’s characteristics suit it to a climate and certain production goals. The Chantecler, developed in Canada, is suited to a cold climate. 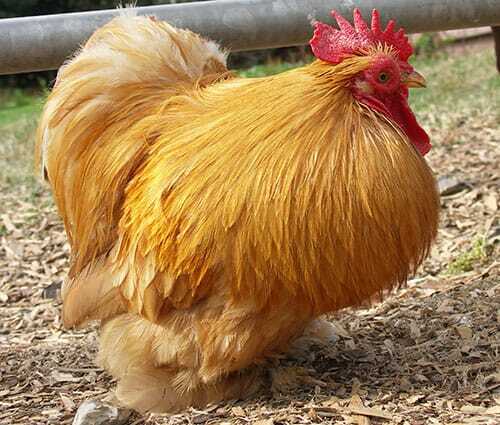 Mediterranean breeds such as the Leghorn, the Ancona and the Spanish group are known for egg laying. Sustainable, integrated systems include poultry as working contributors to farm ecology and production. They consume weed seeds and insects, the traits the Chicken Tractor uses to advantage. They consume green waste and produce high-nitrogen manure for fertilizer. They provide meat and eggs. They reproduce themselves and perpetuate the flock. Because domestic breeds result from selective breeding, they are likely to lose their utility characteristics and value if kept purely as exhibition, hobby or ornamental birds. The selective pressure of utility production is a significant influence on the genetic direction of the breed. The birds a breeder selects for the breeding pen reflect the goals of the breeding program. When that means egg or meat production, those traits will remain strong in the flock. For the breeder, choosing which birds to breed is never simple. Flocks need variability to be vigorous and avoid the pitfalls of inbreeding. On the other hand, birds need uniformity and predictability to retain breed identity. Industrial strains seek uniformity. Traditional pure breeds seek genetic diversity within phenotypic consistency. Breeders spend hours observing their flocks, as well as keeping records of growth, egg production, age at maturity, and health to guide them in choosing which birds to put in the breeding pen. In the 21st century, industrial chickens are controlled by a few multinational corporations dedicated to increasing profits, from a narrow genetic base. While that succeeds in the marketplace, it is inevitably subject to failure. Such genetically similar birds are all vulnerable to the same diseases. The crowded conditions in which they are kept, made possible by subclinical doses of antibiotics in their feed, create conditions under which disease outbreaks spread rapidly and are often resistant to treatment. Breed standards are mainly physical but also behavioural. Selective breeding is guided by breed standards. Conformation, plumage, comb and colour are all significant aspects of the description. Traits such as fertility, parasite and disease resistance and longevity are less easily observed than physical traits. Breed health depends on maintaining a viable population size in geographically separate flocks. Birds raised in different environments under the supervision of breeders pursuing different breeding strategies will insure a healthy, strong breed. Hobby breeding can save rare breeds from extinction, but finding or creating a market for traditional pure breed poultry will generate market conditions that give them a more secure future. If breeders can sell their birds and earn income, they will raise more of them. Having an economic purpose fulfills one of the original purposes of domestic poultry. Traditional breed poultry need to be more than living exhibits in museums. Offering the public the option of purchasing traditional breed meat and eggs will assure the future of traditional breeds as well as good food. Christine Heinrichs wrote How to Raise Chickens and How to Raise Poultry, which focus on raising traditional breeds in small flocks.